Sheryl Sandberg is leaning into a big new pile of money now that Wall Street’s finally giving Facebook some love. The Facebook (FB) chief operating officer and author of the much buzzed-about “Lean In” sold nearly 2.4 million shares of the social network’s stock last week at an average price of $38 per share, according to a regulatory filing. Sandberg is using a pre-arranged trading plan, which means she has no control over the specific timing of her sales. Such plans are a common way for top executives to cash in on a portion of their holdings while avoiding accusations of insider trading. Sandberg has sold Facebook shares several times in the past year. Last year alone, she cashed out around $50 million in the months after Facebook went public in May. Her move this time came just a week after Facebook shares rose above $38 a share Wednesday for the first time since the social network went public in May 2012. The stock has clawed back from a low $17.55 in September. 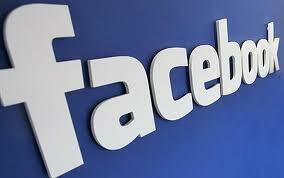 But Facebook shares soared after the company blew past earnings estimates last month. Shares have climbed nearly 50% in the last month. Sandberg has periodically sold small portions of her holdings since the stock went public, but she still has plenty left. What she sold this week represented only about 5% of her holdings. After selling 30.2 million shares during Facebook’s IPO, CEO Mark Zuckerberg hasn’t sold any more of his holdings. Last September, Zuckerberg said in a filing that he had no intention of selling any shares for at least 12 months.